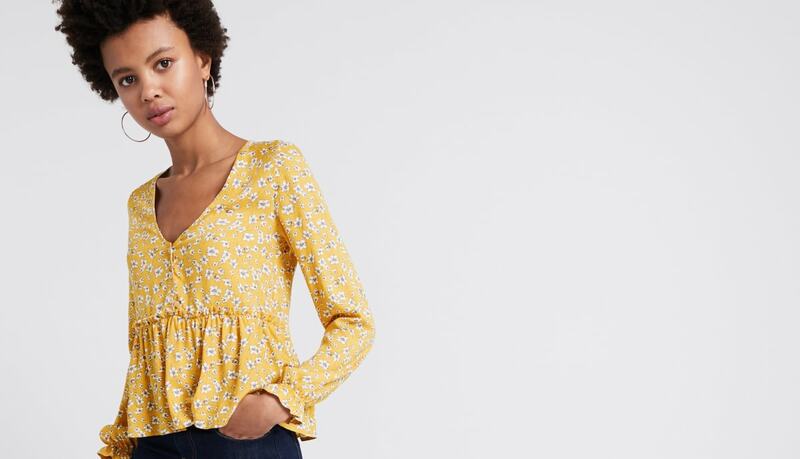 Prepping that new season wardrobe? 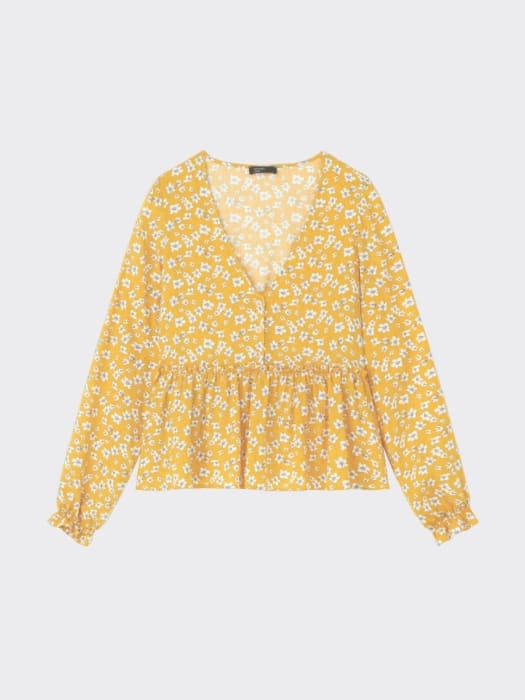 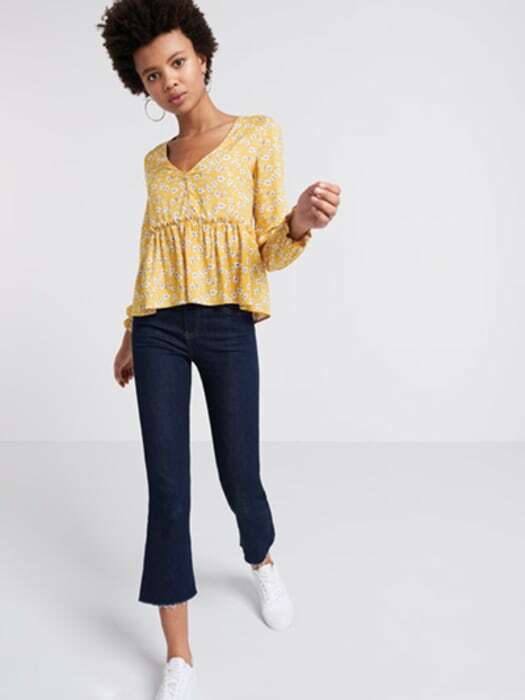 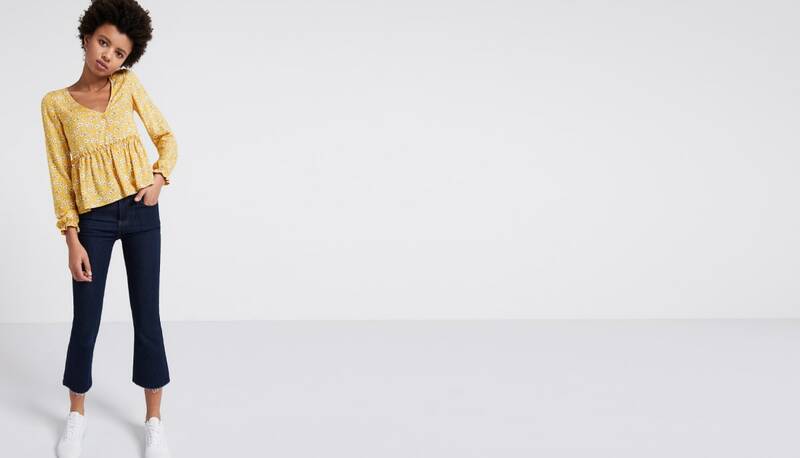 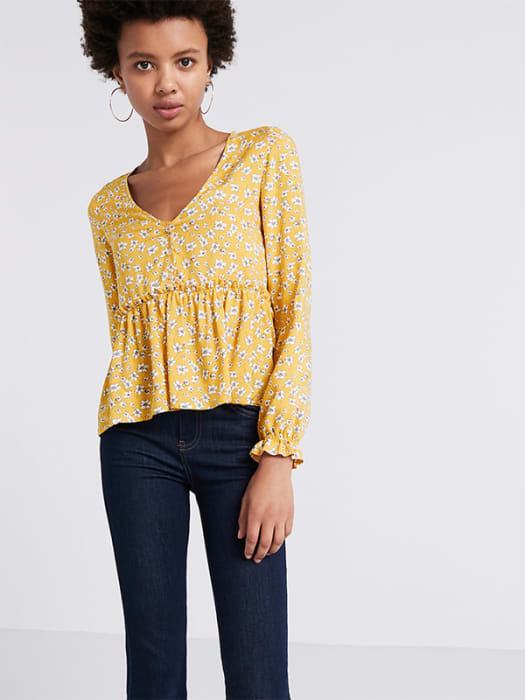 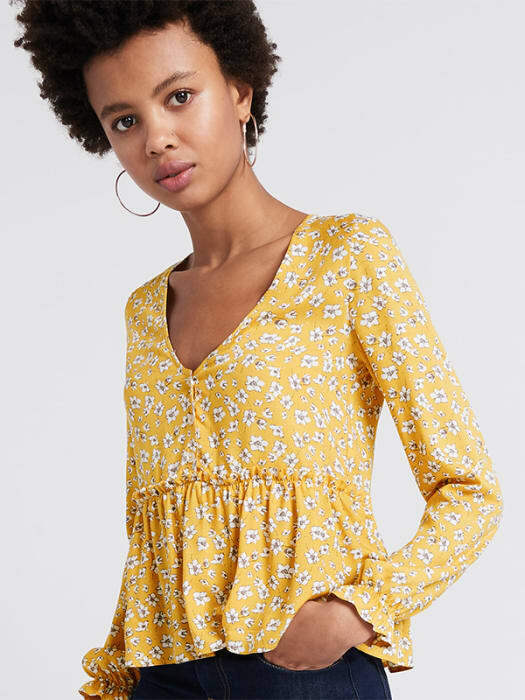 Patterned in dainty florals, this mellow yellow Peplum Blouse should be first on your hit-list. 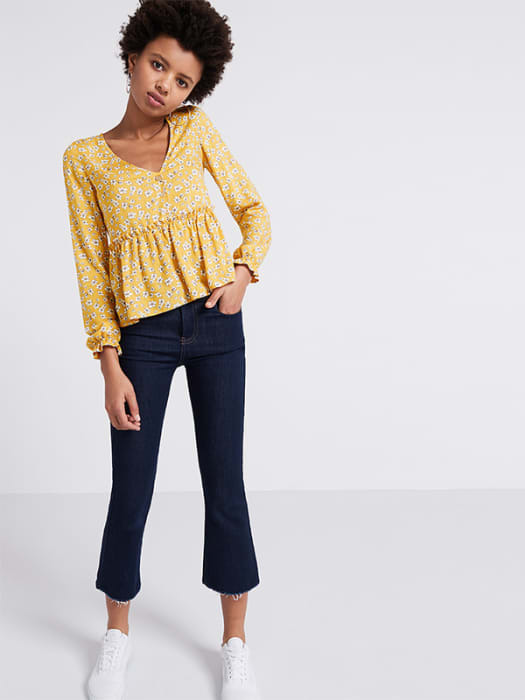 The ruffled cuffs provide a contemporary touch, while the floaty hemline drapes over denim like a dream.